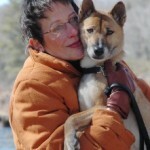 Alice Moon-Fanelli received her Master's (1989) and Ph.D. (1993) in Biobehavioral Sciences specializing in ethology and animal behavior genetics at the University of Connecticut. As a Certified Applied Animal Behaviorist she is internationally known for her expertise in animal behavior and regularly advises animal owners, veterinarians and other animal professionals, the public and students on a variety of animal behavior problems. She offers a highly successful remote consulting service (Your pet's Got Mail) and resolves pet behavior problems around the country and as far away as Japan. on numerous occasions in major newspapers and magazines. She is a Clinical Assistant Professor, at Tufts University Cummings School of Veterinary Medicine where she pursues her current research interest including the causes, treatment and inheritance of compulsive behaviors in dogs, cats and horses. She has studied wolf social behavior and the inheritance of the coyote defensive threat in coyote-beagle hybrids. 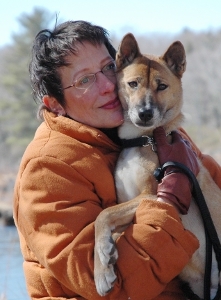 She continues research on wild canid behavior, shares her home with her New Guinea Singing dog, and is on the Board of Directors for the New Guinea Singing Dog Conservation Society. Dr. Alice Moon-Fanelli is a professional member of the Animal Behavior Society, the American Veterinary Society of Animal Behavior and the Association of Pet Dog Trainers.